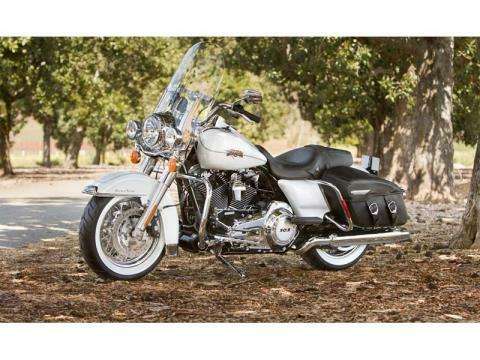 Regal Road King® long-haul power and comfort with an extra touch of nostalgia. 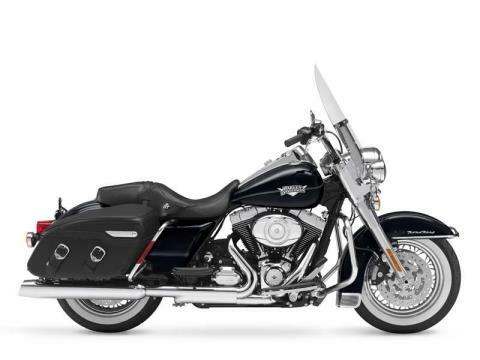 Take time to explore all of the 2013 Harley-Davidson® Road King Classic FLHRC model features including its detachable Harley® windshield. 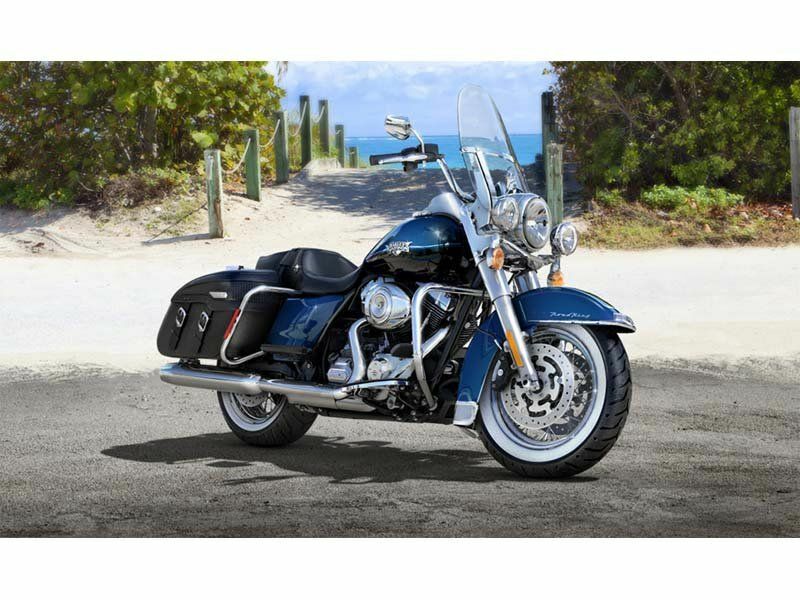 The bike is powered with a rubber-mounted Twin Cam 103™ motorcycle engine that gives you the power you need for passing, hill-climbing and performance when carrying luggage or a passenger. 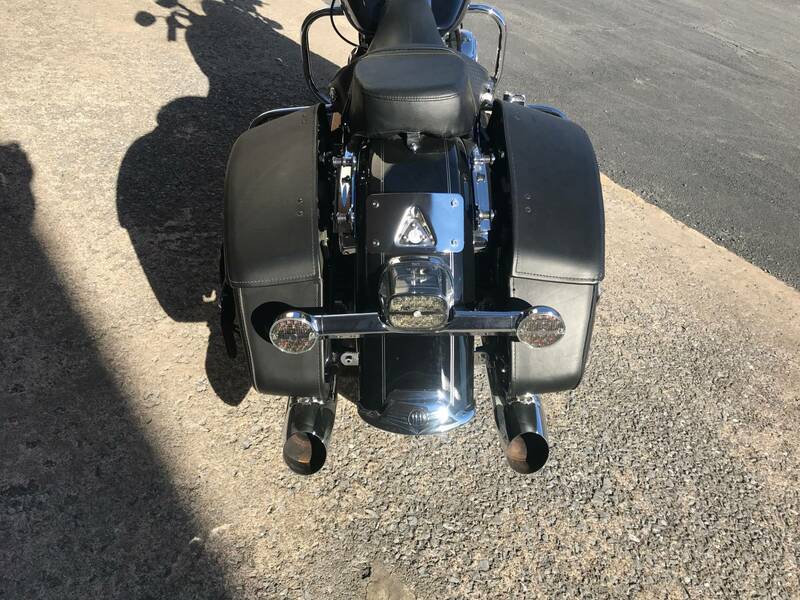 An important feature of touring motorcycles is the saddlebags. The H-D® Road King Classic model's saddlebags are leather-wrapped injection molded hard saddle bags that maintain their shape over time. 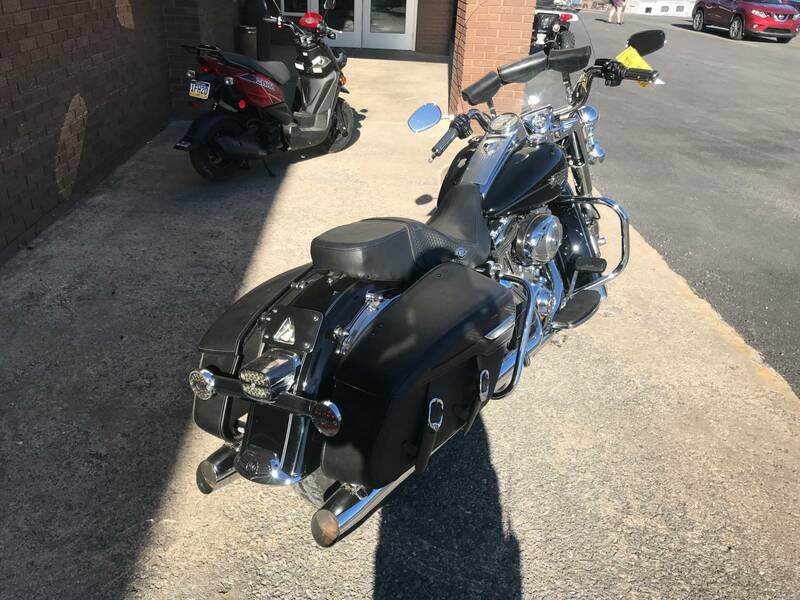 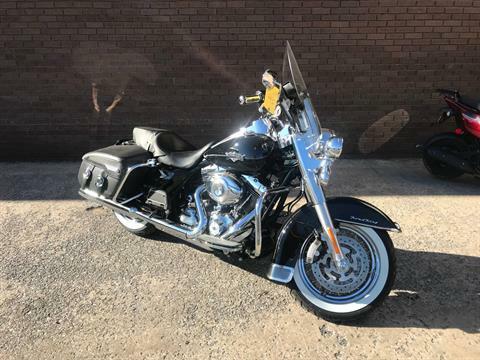 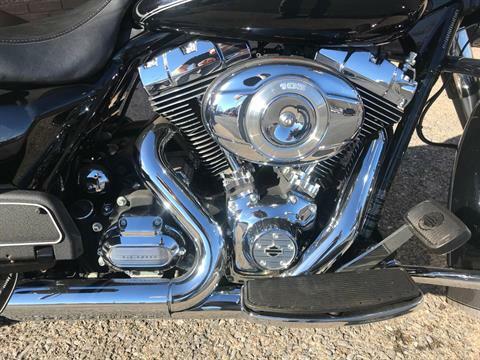 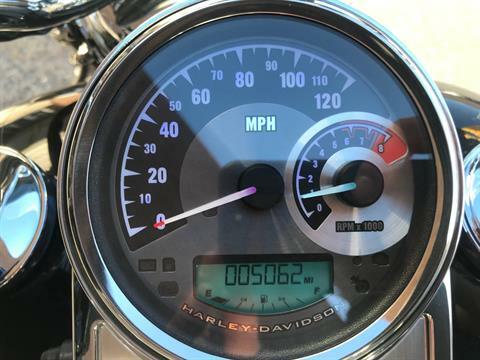 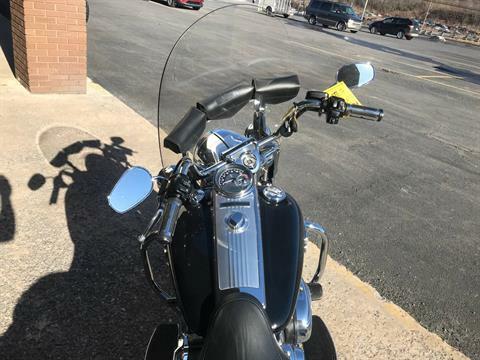 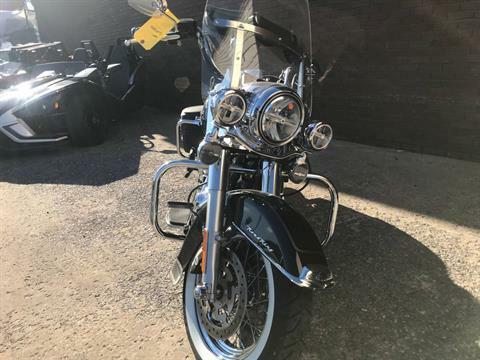 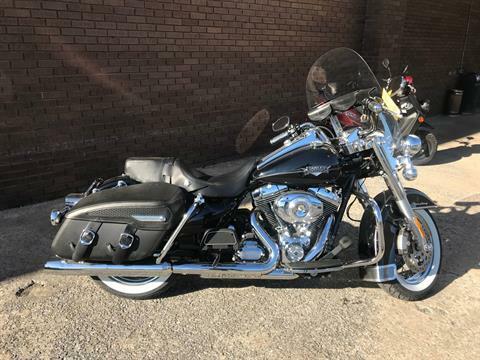 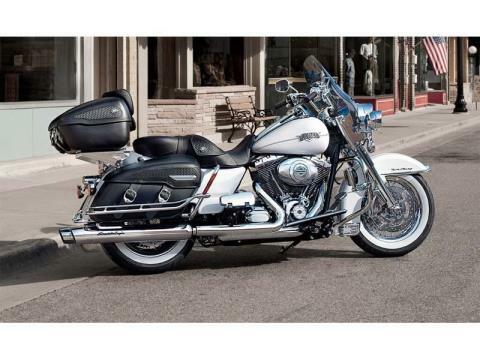 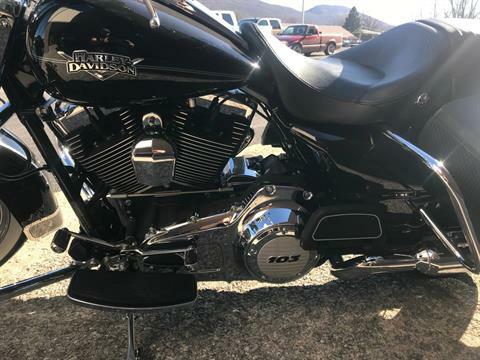 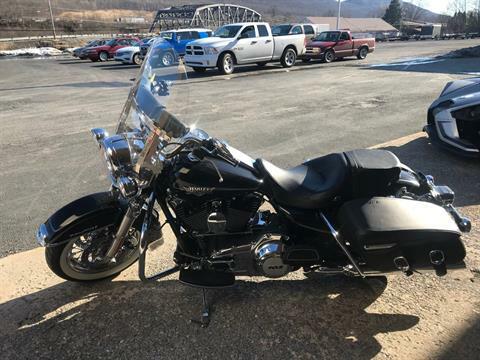 This Harley touring and cruiser motorcycle all in one also has an air adjustable touring rear suspension, giving the choice for a variety of riding feels. Be sure to learn more about these and all the other features on the Road King Classic model, including its removable Harley windshield. Also, learn more about the other Harley styles including the Road Glide® Custom model and its unique frame-mounted Harley fairing. More of the great touring bikes offered from Harley all have the features to make travel the best experience possible, including a motorcycle sidecar option and increased motorcycle luggage capacity.